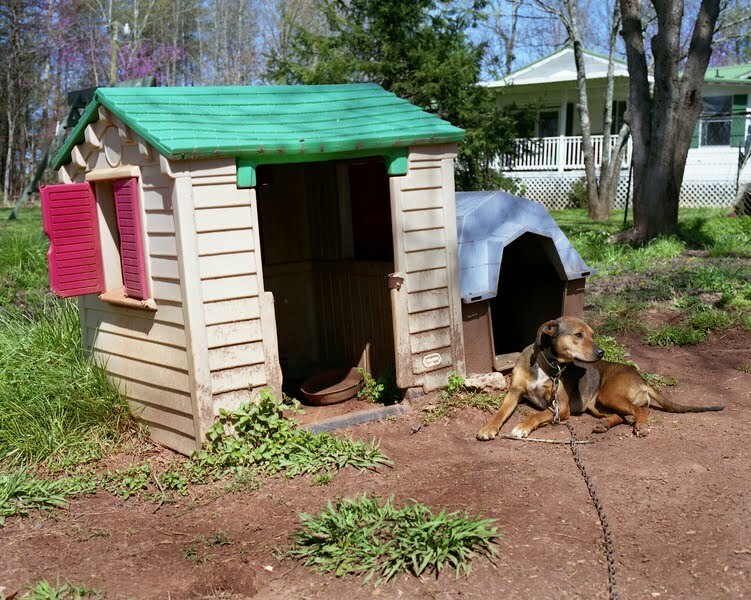 When I was a kid, we had a wonderful family dog that my dad insisted live outside the house. 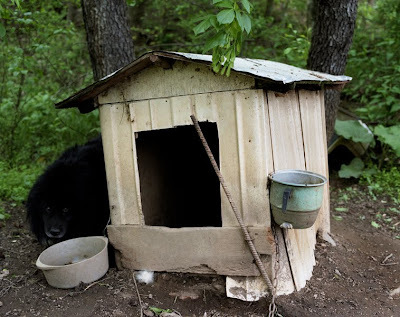 She was allowed in the kitchen, but never into the rest of the house, and we would delight in her inching into the dining room when she could. 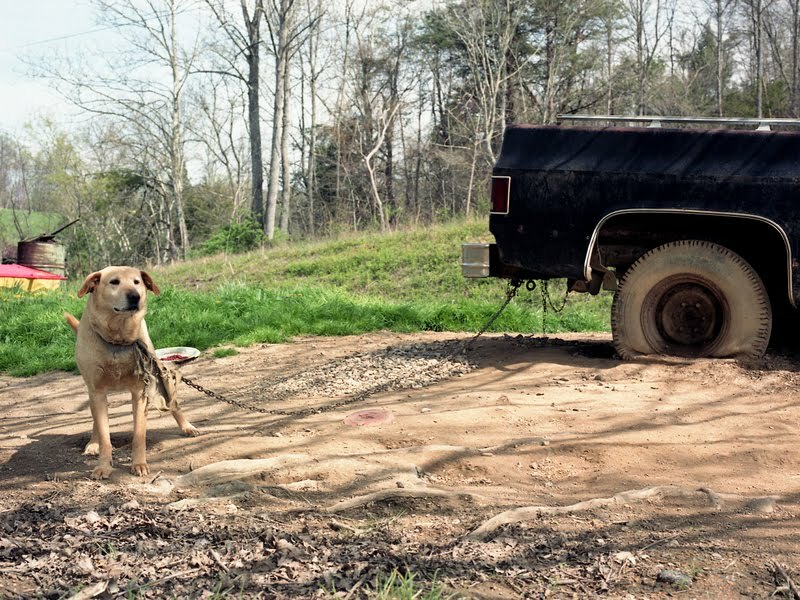 My father had grown up on a ranch and he wasn’t one to anthropomorphize animals, so I always found it fascinating that our dog loved him the best. 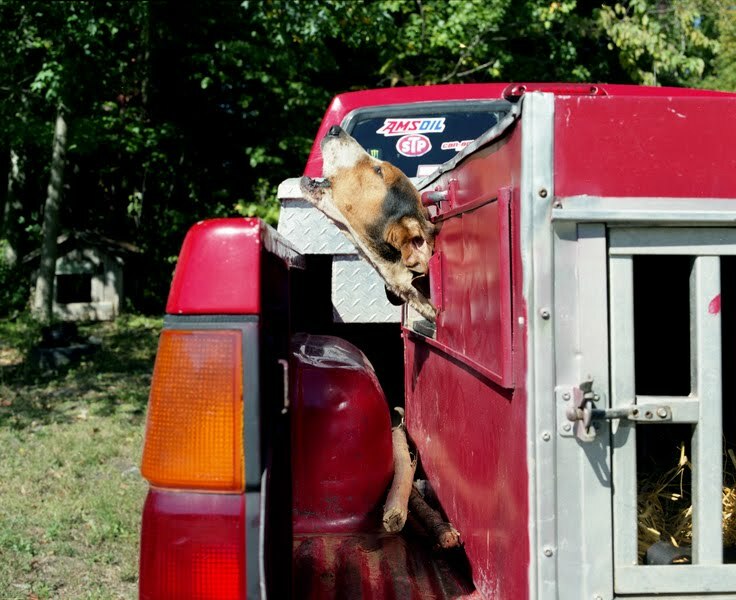 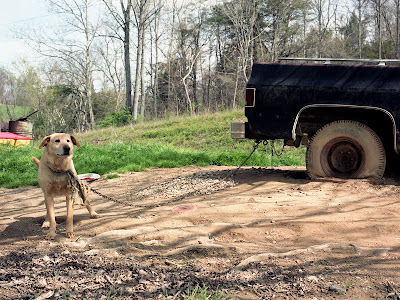 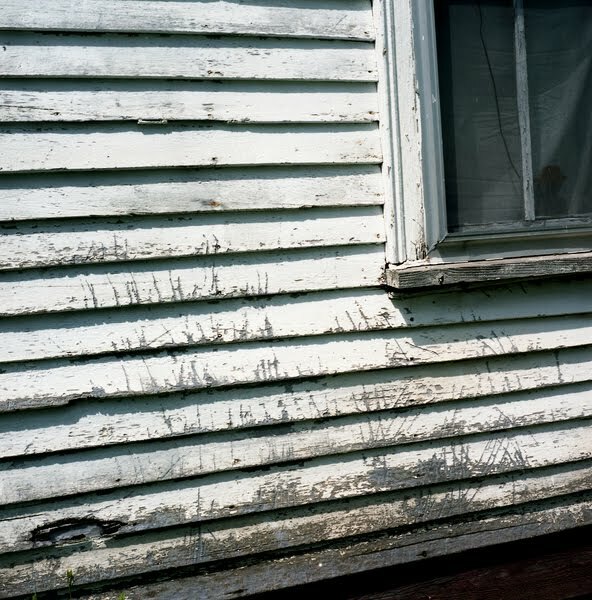 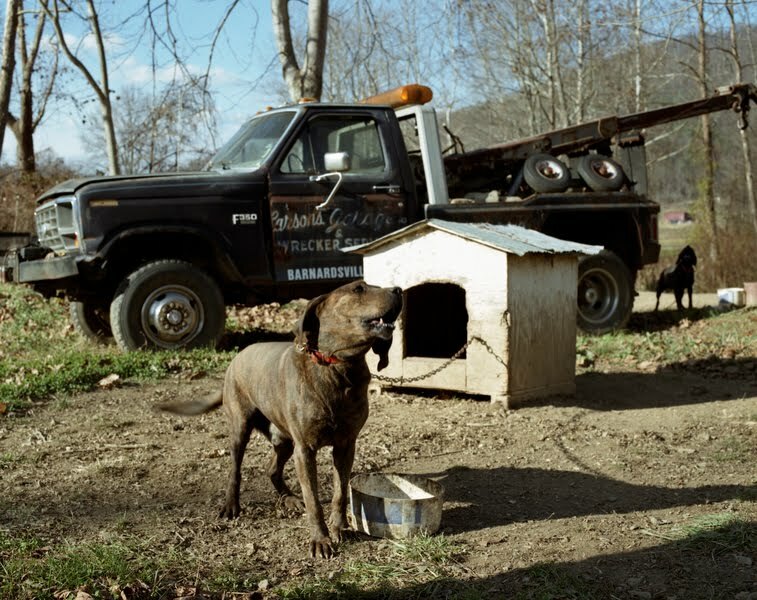 Tennessee photographer Matt Brown has a new project, Dogwater Blues, where he takes a look at the outside dog, in particular, the lives of dogs, their homes, and their families in rural Appalachia. 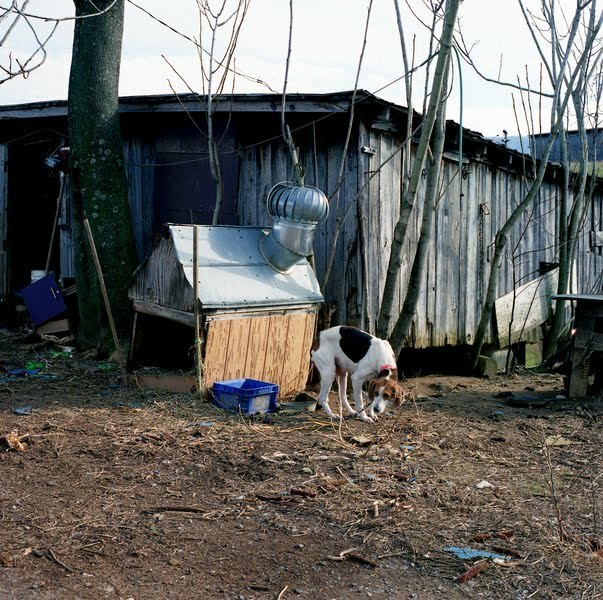 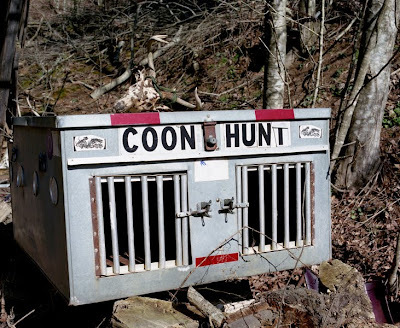 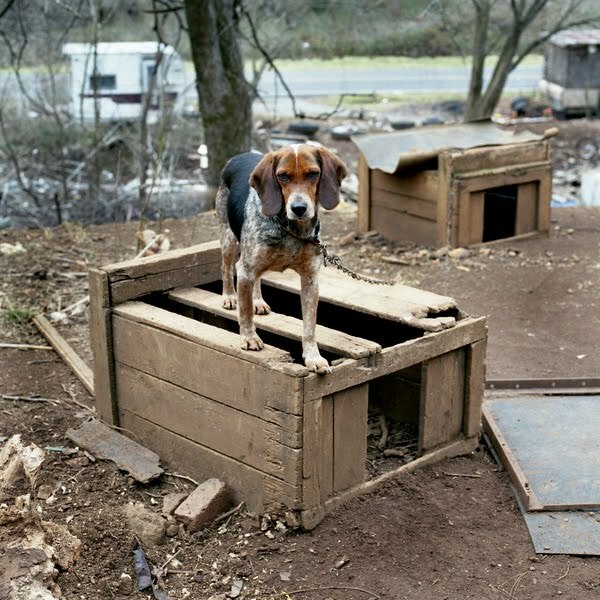 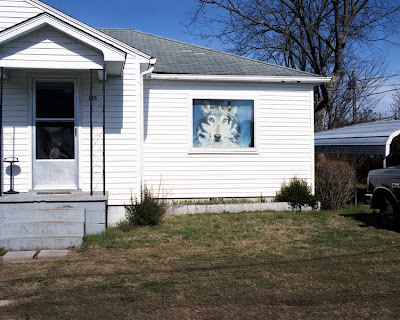 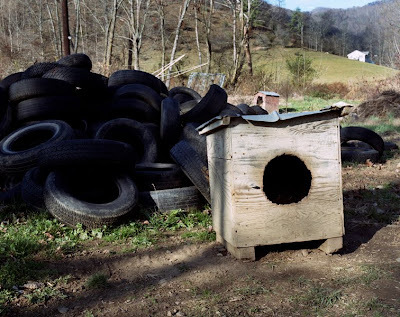 Dogwater Blues: I began photographing the dogs and doghouses of upper East Tennessee and the rural South in the pursuit of understanding the lives of those that choose to make their homes in Appalachia. I found myself drawn again and again to these animals: their candid stares, the ramshackle and wholly unique homes their owners would cobble together from tin and scrap wood, and how each animal made themselves known. My goal was never to anthropomorphize, or to give a “voice” to these animals. 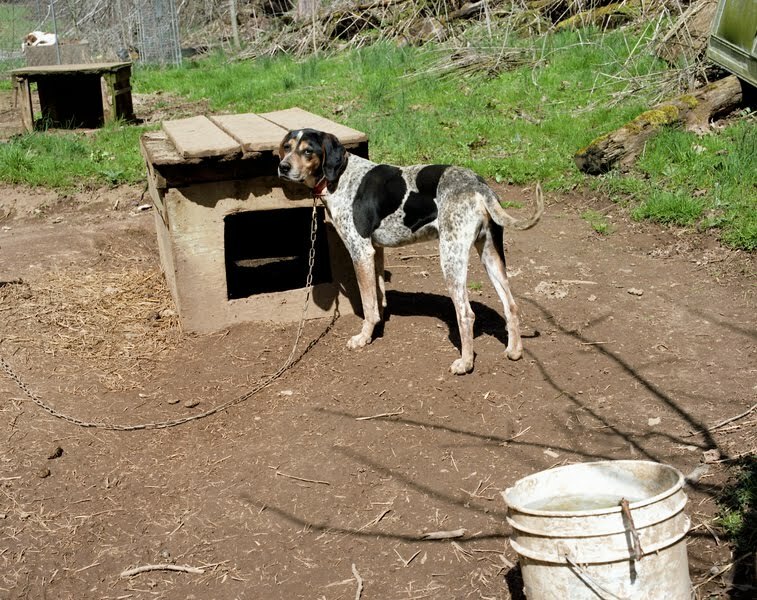 But while looking closely at these dogs in the context of their rustic surroundings, it’s hard for them not to stand-in for their human counterparts. 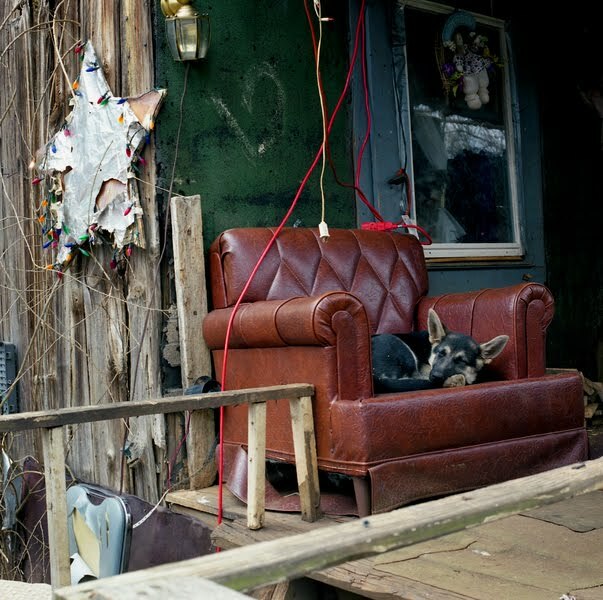 Surrounded by junk and their tumbledown homes, a sense of desperation can be read in their direct gazes, their howls, and the scratches left in the side of a home. This sense of desperation and sadness led me to photograph these dogs to see what was reflected there, in each of them. 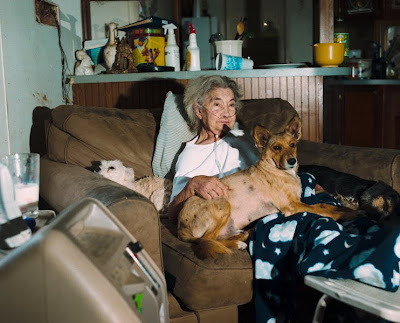 I soon found that animals could tell me more about the people that own them than any personal portrait could. 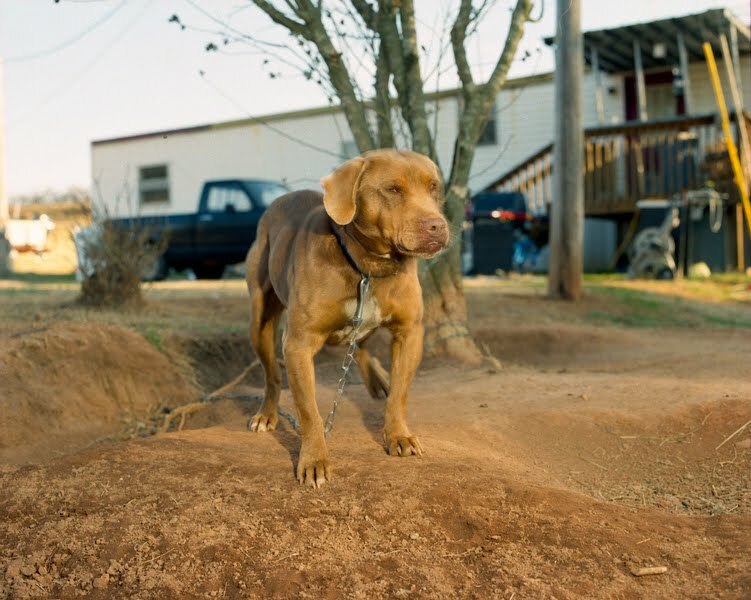 “Dogwater Blues” became a project about trying to understand how we—as humans, as stewards, as protectors—treat the things we love.